TICKETS ARE NOW NOT AVAILABLE TO BUY ONLINE. A LIMITED NUMBER OF TICKETS ARE AVAILABLE ON THE GATE. 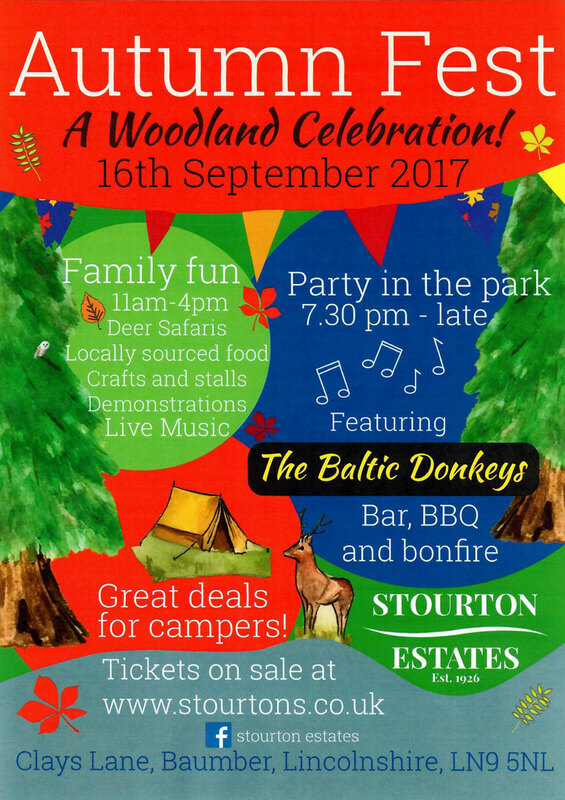 Our very own family fun day with a woodland theme! This promises to be a fantastic weekend with something for everyone including deer safaris, locally sourced food, crafts & stalls plus demonstrations from skilled craftsman – ironmongery, carvings etc plus live music throughout the day. 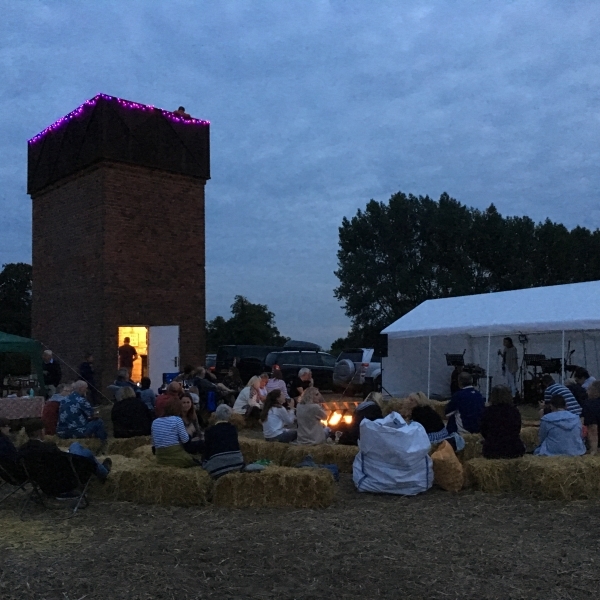 Come the evening the marquee will feature live music from the amazing Baltic Donkeys so you can really enjoy a party in the park, with fully licensed bar, a bbq with a range of different food & a bonfire to top it off! 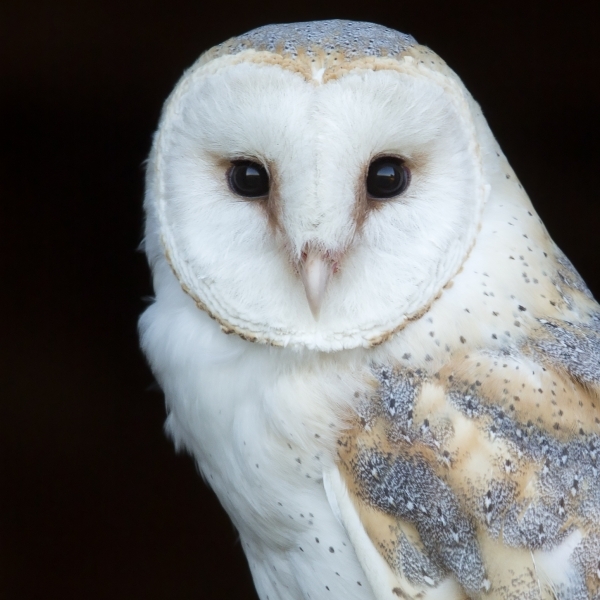 Autumn Fest is our very own family fun day with a woodland theme! This promises to be a fantastic weekend with something for everyone. 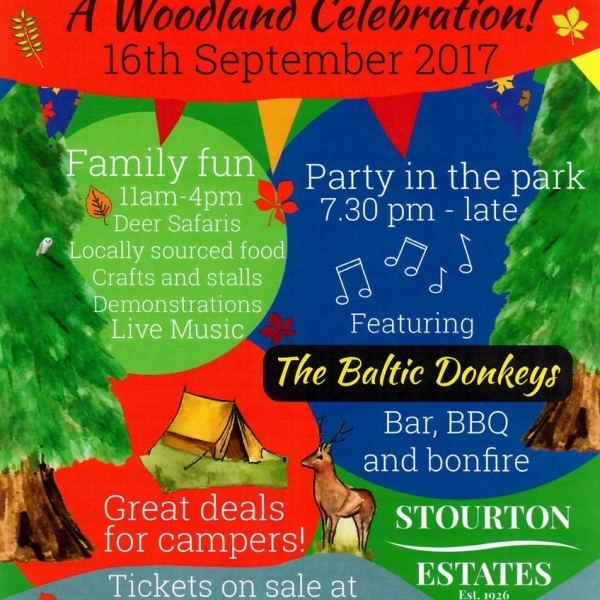 We will run deer safaris, there will be heaps of locally sourced food available, plenty of crafts & stalls plus demonstrations from skilled craftsman – ironmongery, carvings, large kit showcasing timber converters to name but a few, plus live music throughout the day. You will be able to camp over & stay for the whole weekend – Friday to Sunday to enjoy all the activities at your leisure. If you’d like a bit of glamping luxury for the weekend then we have 10 bell tents available sleeping 4 or 6 people fully furnished with beds, duvets,pillows, fairy lights and some refreshments! 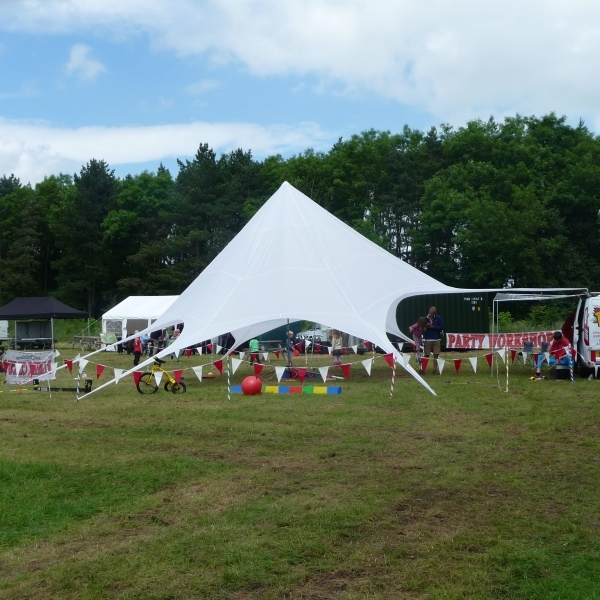 Not only do we have a great range of camping package options available for the weekend but tickets are available separately for the individual elements – perfect for those with very young children who want to leave them at home & enjoy a child-free evening of entertainment! If you are interested in bringing your business or stall to this event please get in touch – contact@stourtons.co.uk or phone 01507 578236 – many thanks.